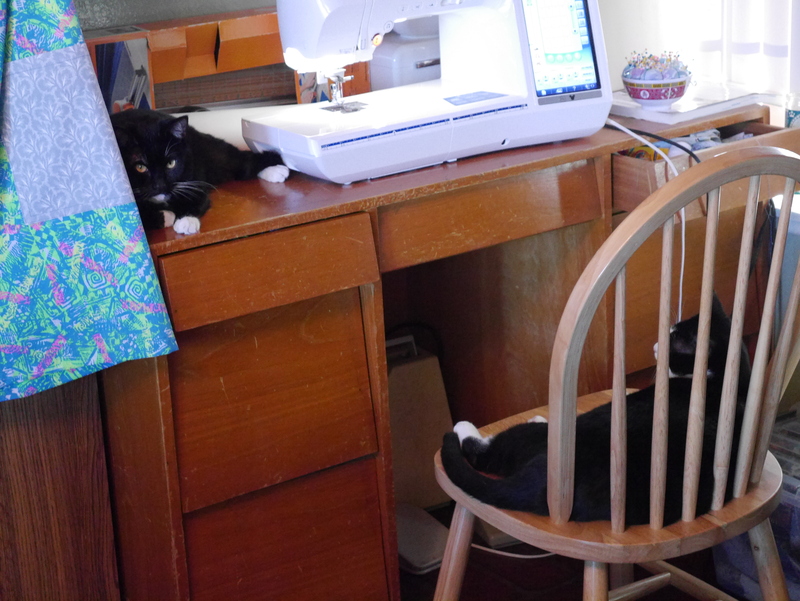 Human Idea – Cats Decision! 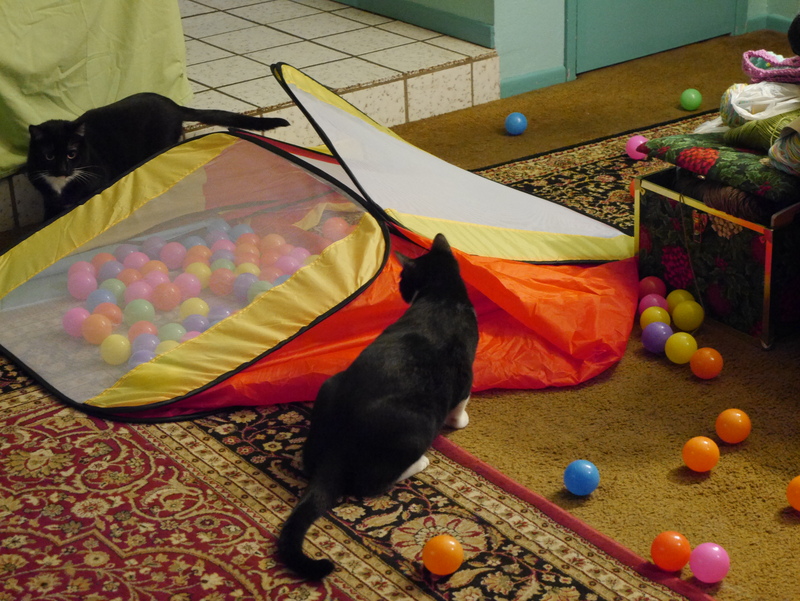 As I recently shared, I had the idea to buy a ball pit for the cats primarily the kitten who never seems to get tried out with his normal tearing around the house. It was a great success the first day we had it. 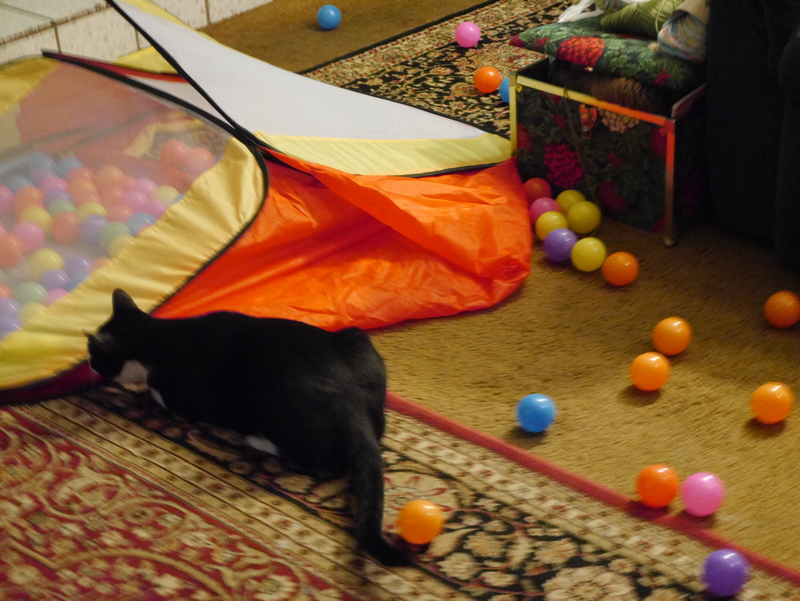 When we went to bed, the kitten was happily sitting in the midst of all the colorful plastic balls patting them here and there and purring. 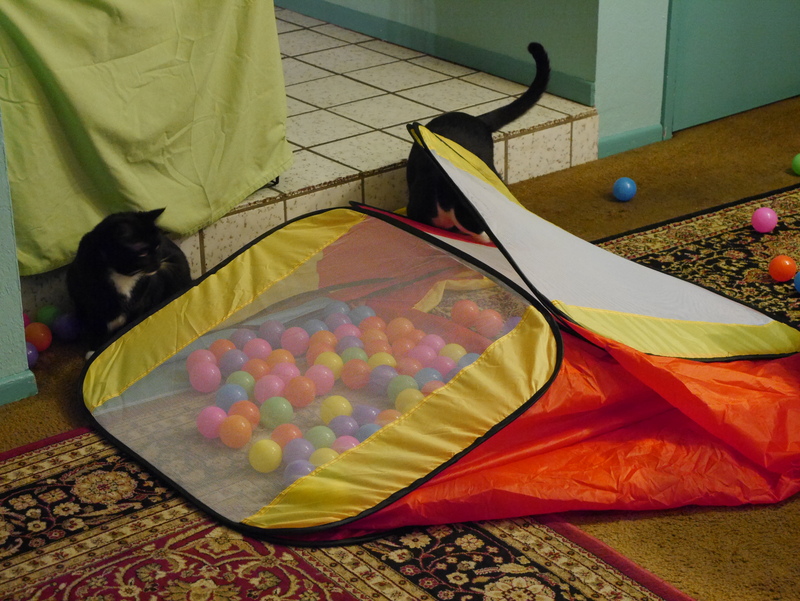 I kind of wish that the 200 balls hardly filled the floor of the enclosure but the cat seemed happy enough. 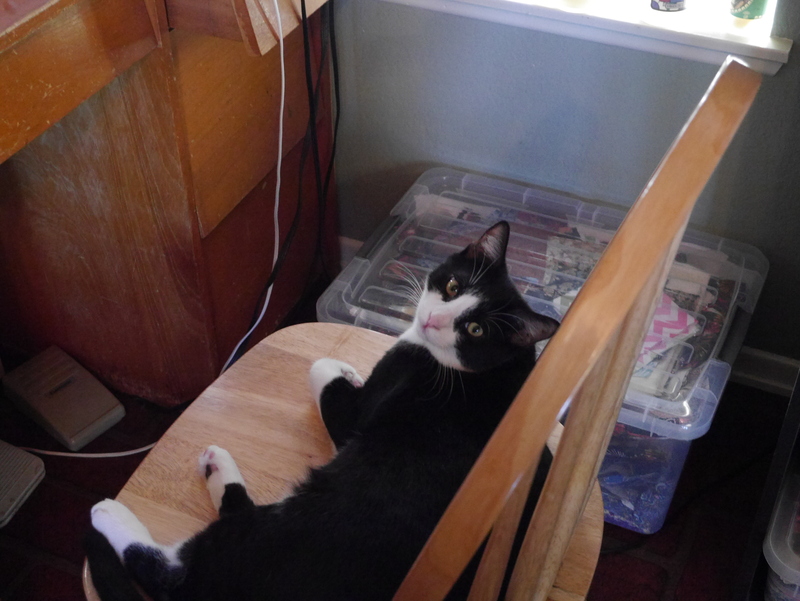 However, the next morning showed us the cats had found innovative ways to enjoy their new toy. Our first hint was stumbling over a generous amount of the plastic balls the minute we exited our bedroom. Further in, we discovered the cats had had a very good night while we were sleeping. Oh, and my wish that we had more than the 200 little ball for the pit. I quickly decided that we already had more than enough.